“Wait. Have we met you before?”, asks one sixth grader as his class settles into the outdoor classroom benches at a Santa Barbara area elementary school. This principal also encourages all the students to create a “Party on their plate” by placing the salad in the middle of a segmented tray rather than sequestering all those fresh veggies on the sidelines. She guesses that 25% of students are now “partying” on their plates. 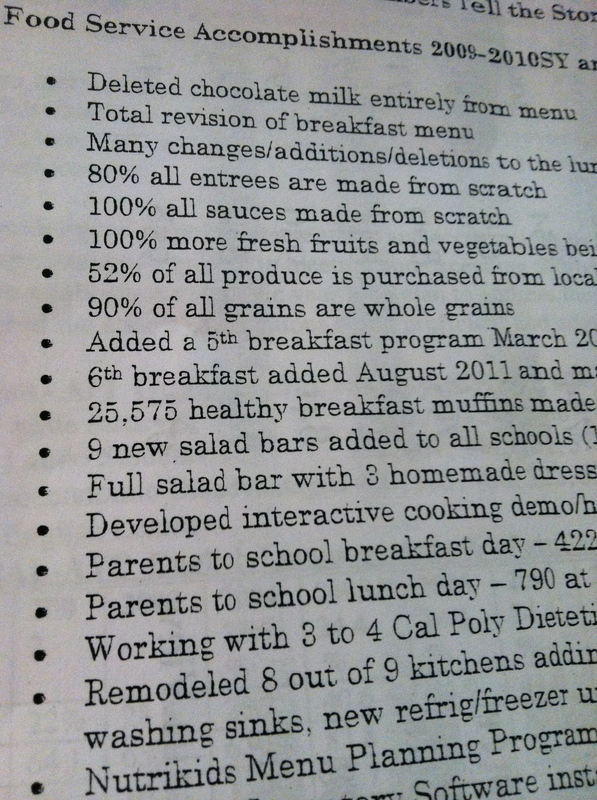 Kudos to everyone involved in making healthy changes at this school!